Other ingredients: vegetable cellulose (capsule), vegetable stearate, rice flour. Dosage and Use: Take one capsule daily on an empty stomach, or as recommended by a healthcare practitioner. Diabetics and borderline diabetics should use growth hormone releasers with care. 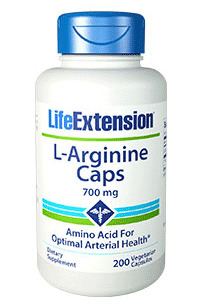 L-arginine and L-ornithine might improve or worsen a diabetic condition. Persons who have not completed their bone growth (children and teenagers) and pregnant or lactating women should not use GH releasers except under a physician's supervision. L-arginine and L-ornithine sometimes reactivate latent herpes virus infections. Therefore, persons who have had ocular or brain herpes should not use them. Those with certain psychoses may experience worsened symptoms if they take L-arginine or L-ornithine supplements. Always take antioxidants with arginine.